If you love classic German Roadsters, and who doesn’t, then you must appreciate the Mercedes-Benz W113. This legendary car tore up the roads in the 1960s and 70s. If you don’t know much about it, keep reading to find out all about the W113. 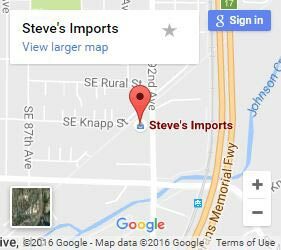 Whenever you need parts or service, make sure to bring your vehicle on down to Steve’s Imports for Mercedes repair in Portland. The W113 was first put into production in 1963, after a successful introduction at the Stockholm Auto Show. Its run lasted into 1971. This compact car was a coup roadster, small but powerful enough for fast driving. That speed came thanks to a six-cylinder inline motor. Designed under the supervision of Fritz Nallinger, it was an upgrade from the under-performing 190 but designed to be more affordable than the 300. This convertible came in two models, a soft top and a hardtop. With styling from the legendary Friedrich Geiger, the W113 was a thing of beauty. Its hardtop had a slight inversion at the center, where it came down into a concave dip. Mercedes patented the design, which makes the W113 hardtop a true one-of-a-kind model. The hard top design gave the W113 its nickname, “The Pagoda”. The W113 was innovative in more than just performance and styling. It was the first vehicle of its type built with safety in mind. The ard zones around the passenger areas protected riders, while crumple zones absorbed and deflected the shock of sudden impacts. Mercedes put out multiple versions of the W113 during its initial run. There were variants among each of these models, with some being quite rare. Depending on your preference, there’s a W113 to suit you. The 230 SL: The SL 230 was the first main model of the W113. It initially came in a four-speed automatic, which feature a high-performance transmission for easy driving, that was responsive enough to keep up with the needs of racers. The final variant of the SL 230 featured a manual ZF transmission. This version was only produced for one year, and it’s a rare collector’s model. The 250 SL: The 250 SL was available in the standard four-speed automatic or manual transmission, or the five-speed ZF performance transmission. It was only in production for one year and is harder to find than the other main models. The 250 SL was a definite improvement on the 230. While it still had a 141 HP motor, the 250 delivered more torque. It also handled much better than its predecessor. The 280 SL The 280 SL was the final version of the W113. Again, it was available in three transmission options. There were fewer than 90 of the VVF five-speeds ordered, and it’s the rarest specific variant. This car was more comfortable than previous models, as it was larger and had air conditioning. Its engine was upgraded with an additional 27 HP, for a total of 168. The 230 SL proved its worth right out of the gate. In 1963, the first production year, the 230 won the Spa-Sofia-Liege Rally. This race is over 4000 miles long and runs from Belgium to Bulgaria. The 230 handled the rigorous course admirably. It competed again in 1964 but the racer suffered unfortunate mechanical issues. Even with these problems, it still managed a third-place finish. Later, in 1965, the 230 was on track to win the Acropolis Rally. Dieter Glemser was driving a slightly modified car with 150 HP. He would have won handily, but local police misdirected him, meaning that he only got third place. History is very kind to this series. The 230 especially is fondly remembered. Various magazines and car critics regularly list this car among the best automobiles of the 20th century, or of the era of its production. The fact that it remains popular, and that it managed to perform better than its specifications would lead you to think makes the W113 a legend among Mercedes Benz aficionados. Today it’s not unusual to see a 230 SL or one of its successors at a German car show or collector’s club. The attractive styling makes it very memorable. The W113 series has been out of production for the better part of 50 years. This means that as time goes by the remaining stock of replacement parts dwindles. You can still find places selling its parts and technicians who are willing to work on them. If you live in the Pacific Northwest, where can you go for service? Here at Steve’s Imports, we live and breath Mercedes cars. We’ve been in business for decades, and we’ve worked on pretty much every model. 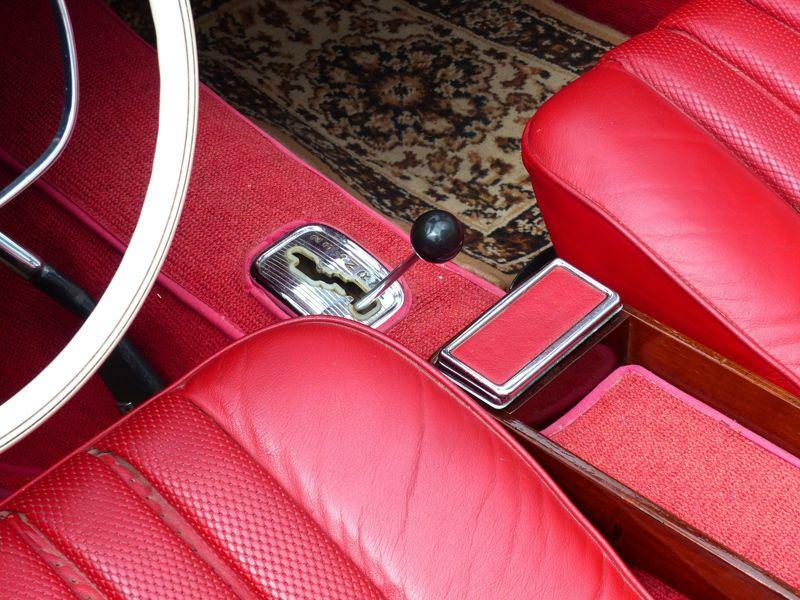 We know the ins and outs of them all, including the W113s. If you bring us your 230, 250 or 280 SL, we can get it back up and running. Other people might have a hard time tracking down replacement parts, but not us. We have good relationships with the best suppliers. This allows us to get even the most obscure parts that are normally very difficult to track down. And we don’t use just any types of parts. You can rest assured that if an OEM, original equipment manufacturer, part isn’t available, we’ll use only those that meet the factory specs. All of our technicians have years of training and experience on the job. Everyone who services the mechanical issues with your car is ASE certified. All of our body technicians and painters are I-CAR trained and certified. Not only that, but we also offer a lifetime guarantee on the paint jobs, from partial to full body. Besides making Mercedes repairs in Portland, we also work on many other types of imports. Whether it’s other German or European manufacturers or those from Asia, we cover it all. Everyone here at the shop understands your passion for your vehicle because we share it with you. Don’t let your car sit without getting fixed. Bring it on into Steve’s Imports today and get back on the road quickly.